Ahh Bristol, Indiana, you were as charming as my wife. It is now time to separate (from Bristol) and continue the adventure in search of another host as delightful as you. We express much gratitude for your cooler than usual August that saw us running our furnace on several mornings and seldom reaching for the AC switch. The charm of your Dutch folk and its sleepy, but yet lush countryside, will be carved in our memory. Enjoy a few photos of the area as well as some RVing whackyness while in one of America's best kept secrets--the Michiana area. In front of Touchdown Jesus on the 2nd day of Fall semester at the University of Notre Dame. I couldn't understand why all the students were whispering "Devil Incarnate" as they meandered by me-- guess wearing my University of Texas shirt wasn't well received. Win One For The Gipper Hula-Hooper! The Fighting Irish campus has about 15,000 student on any given day. We sat on a bench for over 30 minutes and I noticed what I believe is one of the strangest observations ever amongst a group of today's youth--NOT ONE tattoo. Is there discounted tuition if you are sans flesh ink? It was weird enough for me to go home and do some research to see if they had some kind of catechism--nothing I could find on-line. Weigh-in my Catholic followers. Hey, anytime I can thrust my hips in public without the police being called, I am all in. When Teri and I first met, I weighed about 60 pounds less and used a Cheerio as my Hula Hoop. And no, I did not lose a bet. While on the topic of physical activity, the plumping of America includes the RV community. Since arriving into the Midwest, we are seeing golf carts as part of the campground landscape. While they serve a role in transporting the seniors around these mega-sized parks, it seems like the majority resemble the Bertha family going down to the campground store to load up on a super-sized Slurpee. Foot power and bikes seems to be lost as a commuting option. More plumping. We are one of the few RV'ers who shun Mapquest.com for our routing source. We opt instead for Diners, Drive-Ins and Dives. What a find at the South Side Soda Shop in Goshen, Indiana. Time to get gyrating some more Hula Hoop, probably have to throw a hip out to offset that beast. This is what happens when you mix an RV engineer background with alcohol. Yes, a 1976 Cadillac El Dorado chassis converted to a pimp motorhome, now safely stored in the corner of the RV Museum. While it appears you are staring at something that is part of the next space shuttle, those my friends are RV toilets on the factory line during our tour of the Jayco RV manufacturing facility. Yes, a litter of shi-----, woops, Family Blog censor alert. The burning question--why does it take only 1 match to start a forest fire but yet it takes me a whole box to start a camp fire? Flare-up. Eczema or marital? Looks like my wedding finger is a bit stressed out for some reason, perhaps RV'ing in tight quarters approaching 5 months. And WOAH, maybe my organ donor card has an option on the back that reads "Skin to crocodiles". Good golly. Commenting approval technology---shouldn't it read, "Please prove you can see bullets flying through the air"? As an RV blogger who often comments on the travels of others, I am tired of Dr. Captcha the redneck optometrist stumping me repeatedly. Can I get an AMEN ? A hat tip for the start of the Teri's blog over at the Zen of Sweeping. Personally, I am more fond of the zen of sleeping. But, if you want her perspective on this vagabond lifestyle and something much less shallow than this site that promises to be free of men with bellies spinning hula-hoops, go pay her a visit. You may never come back here. I wouldn't blame you as sometimes I don't feel like returning either. That about does it as we wrap up our first one month stay at a single location. On Tuesday morning, we will dust off our "hitching up" instructions and point the rig to the east as we head to Sandusky, Ohio for a brief stop then a week's hiatus near Buffalo, N.Y., something about some water falls thing-a-majig in the area. We will report back to you, or perhaps my wife will. As the Amish say, it's time to Giddy Up! Thanks for following, day 142, the journey continues. I hesitate to suggest it, but if there has been any, uh, you know, plumping of your fingers in the last five months, your soap and other unguents, coupled with not so much air room, may be scaling up your wedding finger. Could be. Or perhaps my wife confessing she bought my gold band at a grocery store toy dispenser. *Runs for cover*. What is it with you guys and ring fingers. Jerry has the exact same thing! Well, Jerry and I both originated from dry climates (I was in Denver prior to starting this and rather dry central TX), I suspect humidity for some reason. GO IRISH!!! Isn't that campus beautiful...did you see the bookstore and the crystal for sale - WILD! We saw the bookstore AND the line extending out the store. And then there's the University of Colorado where you can't find a kid without ink. My son was a rarity. I have a b*tch of a time commenting on blogger and those darn "are you a person" BS. PS...After thirty years, Al and I don't wear our rings anymore....living in sin sounds more exciting than 30 years of marriage. Teri likes your suggestion regarding the rings, color me concerned. I am not an animal! 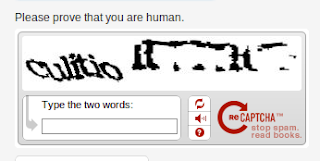 Yes, I'm human and tired of having to prove it with unreadable letters. AMEN on those stupid code words. Half the time I give up and don't comment. You are definitely my kind of guy on the where we have been map. Been there and done that, except we drove into a parking lot so we could get turned around.